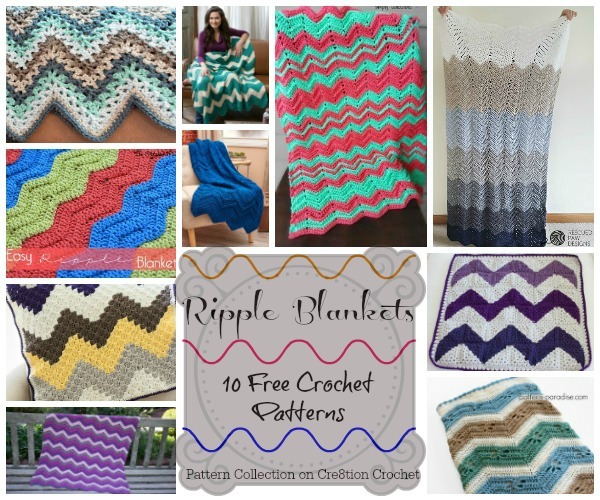 Ripple blankets or chevron blankets are beautiful blankets when made in different color combinations. Or, even when made in a single color. 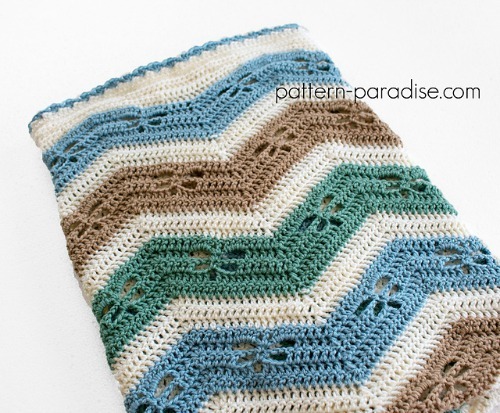 The texture and effect the blanket gives creates a gorgeous blanket for any gender or age. These can also be made with a family heirloom or keepsake project in mind. 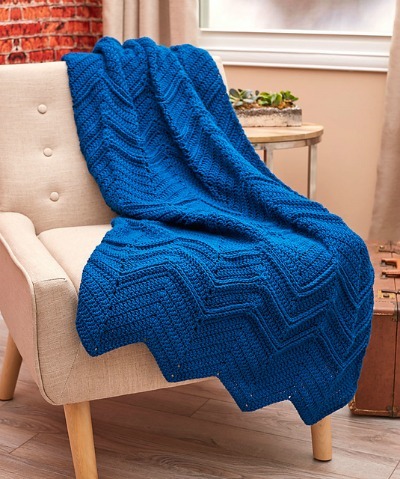 It’s afghan season so of course I wanted to get stitchin’ on something cozy for curling up with on these chilly Autumn evenings! 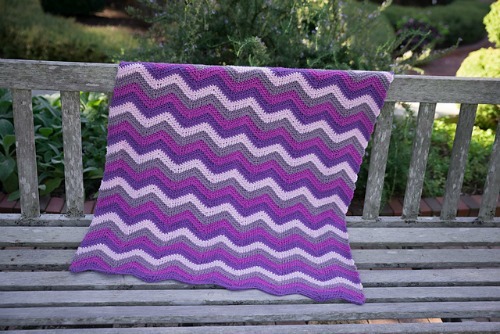 I decided to put a contemporary twist on an old classic with this ripple afghan pattern. 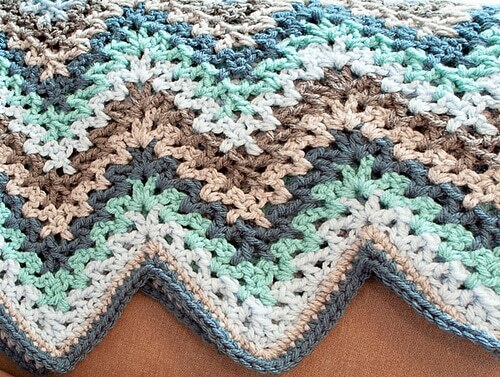 Here I used V-stitches to created a more lacy, open design to the traditional ripple. 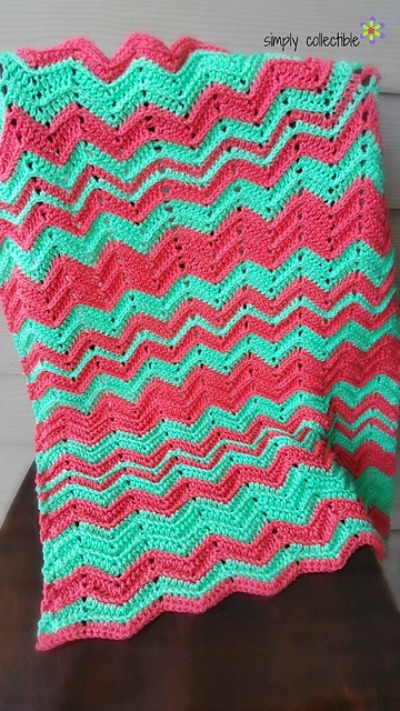 I absolutely love the herringbone double crochet stitch and I absolutely love using sport weight yarn, so I combined the two to create this fun baby blanket! 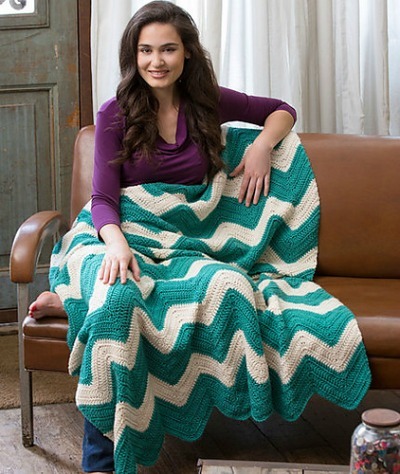 Add a pop of crocheted chevrons to your room with a fun throw. This graphic style is great for the modern living room, child’s room or reading nook. 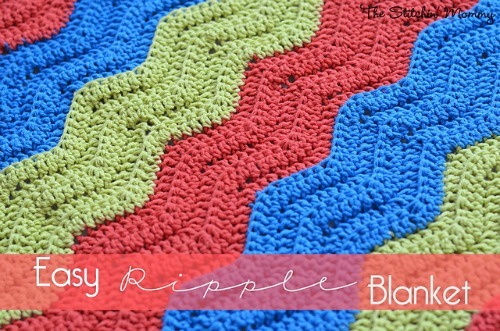 This one-color ripple is perfectly suited to today’s easy-living interiors. 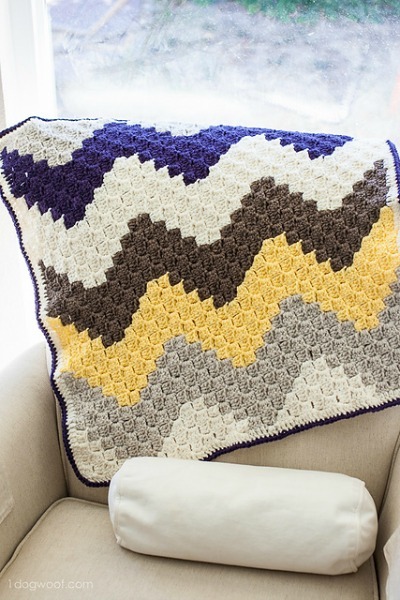 The classic crochet chevron pattern is highlighted with textured post stitch rows for unusual style. It’s ideal for any room and any home. 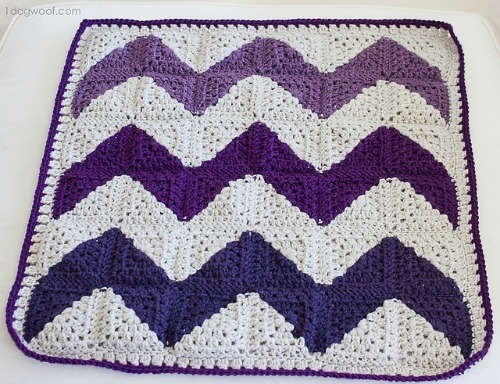 I like to think this chevron baby blanket is just a little bit different from other chevrons because it’s made from bi-colored granny squares pieced together. Dianne is the owner of Same DiNamics Crochet. The name Same DiNamics is very special to her. It came about at a time where she needed something in her life. She started blogging by doing book reviews, which she still does. Dianne re-discovered crocheting about 3 years ago, she added ‘Crochet’ to her blog name for easy recognition. She has not let the hook down ever since. 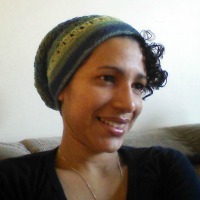 Her goal in crocheting is to learn as much as she can and do amazing things. She is following the journey that has been set before her. 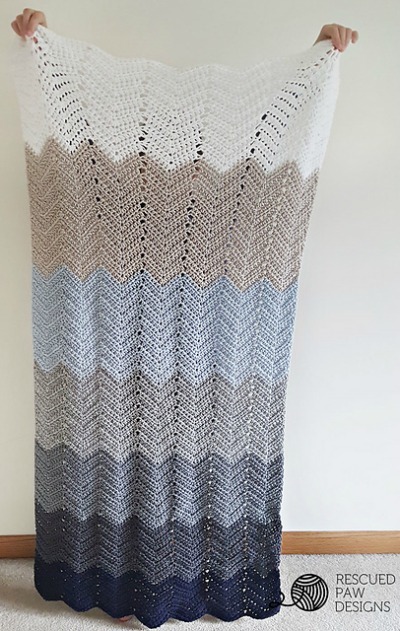 You can find Diane on Ravelry, her blog or facebook.